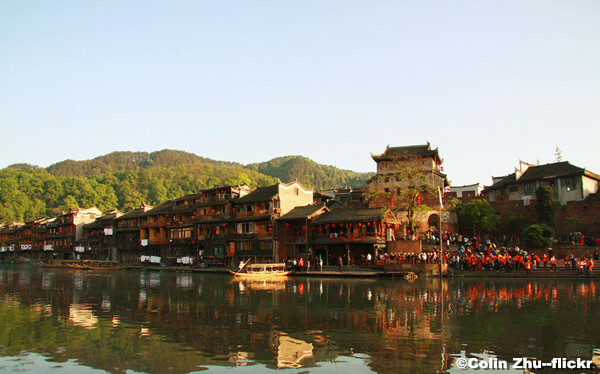 Fenghuang Ancient Town (Phoenix Ancient Town) located western Hunan Province is praised as one of the most beautiful ancient towns in China. It was built during Qing Dynasty about 300 years ago and now it still remains its original appearance. 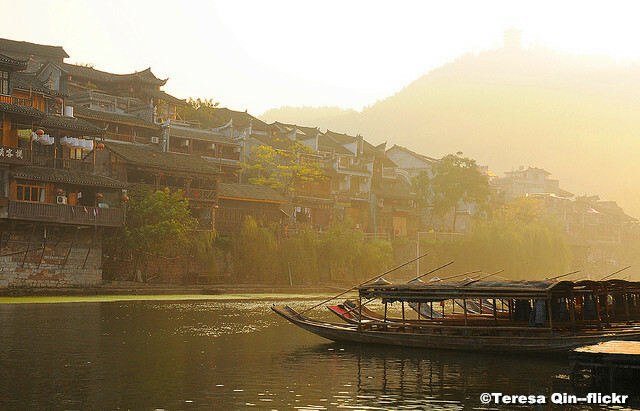 Surrounded by mountains and with the Tuojiang River running through, Fenghuang attracts people for its natural beauty, rich history and culture, and also the local ethnic customs. The scenery after rain or in a misty morning is quite enchanting and taking a rowboat on the Tuojiang River is a best way to appreciate the scenery and the unique local buildings Diaojiaolou.